TUC 150 Years 1868-2018. Changing the world of work for good. Copy and paste this code snippet into your website. Here is how it will look. 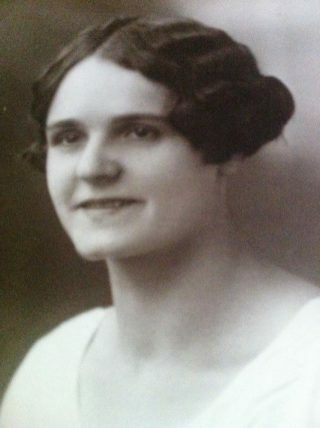 Rosanna ‘Rosie’ Hackett was born in 1892 and grew up in the Dublin tenements. Her father died when she was very young and until 1911 when her mother remarried she lived in a female-headed household. As a teenager, Rosie worked as a packer in a paper store and then got a job as a messenger for Jacob’s Biscuits. 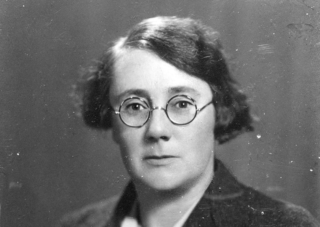 Rosie was a pioneer of the women’s trade union movement in Ireland, joining the Irish Transport and General Workers Union (ITGWU) when it was founded in 1909. Two years later in August 1911, Rosie organised more than 3,000 women working in the Jacob’s Biscuits factory to strike. The working conditions for the biscuit makers had been described as ‘sending them from this earth 20 years before their time’. The women were successful and they received better working conditions and an increase in pay. Rosie was just 18 years old at the time. A revolutionary had been born. Two weeks later Rosie co-founded the Irish Women Workers’ Union with Delia Larkin, the sister of trade unionist and founder of the ITGWU, Jim Larkin. It was set up to protect women from the horrendous conditions they were expected to work in. By the time the Dublin Lockout began in 1913, the average working week for women was 90 hours for a wage of 6 or 7 shillings. What was the Dublin Lockout? The Dublin Lockout was a major industrial dispute between 20,000 workers and 300 employers, lasting from 26 August 1913 to 18 January 1914. Central to the dispute was the workers’ right to unionise. At the time, unskilled workers had to compete with one another for work every day, the job generally going to whoever agreed to work for the lowest wages. During the Lockout the women of the IWWU worked tirelessly to provide the strikers with basic food, setting up a soup kitchen in Liberty Hall, the home of the ITGWU. No. Although the TUC had initially supported the Lockout with a donation of £150,000, when the leaders request that the TUC call a sympathetic strike across Britain was refused the Lockout failed. Most workers, many on the brink of starvation, went back to work and signed pledges not to join a union. Rosie, along with 400 or 500 other women, lost her job at Jacob’s Biscuits for the part she played in the Lockout. Was that the end of Revolutionary Rosie? Far from it. The loss of the factory job just meant she was able to focus full-time on her union activities, taking up a full-time role at the IWWU. In 1916 during the Easter Rising she delivered the still wet Proclamation of independence straight from the printing press to the leaders. After the Rising, Rosie re-energised the IWWU which, at its strongest in the 1940s, organised over 70,000 women and secured an extra paid week of holiday leave per year. She gave 60 years of her life to the trade union movement. In 2014, Dublin’s newest bridge was named after her.